Manchester united is the most decorated and richest club side in English football, however one eternal figure that remains permanently tantamount with the red devils is Sir Alex Ferguson, he is the most celebrated gaffer in the clubs glamorous history, he won numerous titles in his 27 years stint, killed off the dominance of old rivals Liverpool (who have failed to win an English title since 1990), put emerging Arsene Wenger and his gunners to bed by knocking them off balance and also exterminated any form of impetus they were trying to pick. Every adversary that came along had to literally mellow down for Fergie’s dominance of English football, however not only did he bring honours to United, he oversaw several generations of players transition at the club, several local stars emerged from the clubs academy and the soccer on display was entertaining, these set precedence for United’s legacy & blue print till date, they became known for giving the youth a chance, playing and encouraging attacking football and racking up trophies upon trophies. 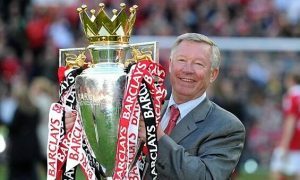 The day came when even Sir Alex had to call it a day, and if one would recall he said assertively to his faithful’s at old Trafford and the world over to stick behind the manager and their team. 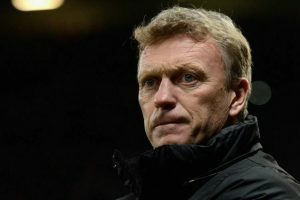 David Moyes took over the mantle having been handpicked by his predecessor, however the fans and the board didn’t stick to their manager as Fergie instructed. There was a stated clause of Champions league qualification in his contract. Football has changed, a club of United’s pedigree would only consistently garner huge revenue if European football participation is guaranteed, nobody could afford Moyes the time Fergie was given to steady the ship initially at old Trafford (it took more than 4yrs before united lifted a title when fergie assumed the reins in Manchester). 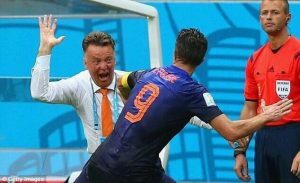 In a bid to recovering from a terrible year instantaneously, renowned Dutch Tactician Louis Van Gaal was appointed as Manager just after an impressive World cup campaign with his country, huge transfer funds were made available and he was able to lure players Moyes wasn’t capable of attracting due to his reputation. Nevertheless, truth be told the team’s performances didn’t improve, yet he achieved the season objective of getting them back to the Champions League with just about the same win percentage as Moyes had. Most United fans started to exhibit patience, hoping for a much better league finish in the subsequent season. More money was spent in the transfer window, results again didn’t improve as well, this time, they weren’t lucky enough to get Champions League football. Injury concerns lingered once again like in the previous year but they won their first FA Cup title in 12 years! Supporters weren’t fascinated, with more than a few feeling they wouldn’t have won if they faced a better opponent. 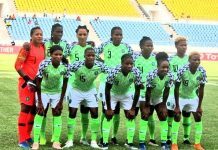 Their side should be competing for the league after spending that much in the past two years and the football on display was mostly appalling. A fan went on to joke that his club couldn’t even muster 19 shots against Bournemouth, talk-less of scoring as much as 19goals to qualify for the champions league! 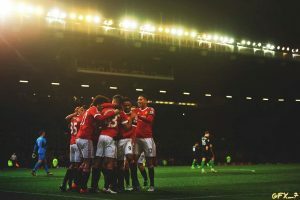 It was that awful and Louis Van Gaal was butted out barely two days after winning the FA Cup for United, which raises the question – what do the hierarchy at Old Trafford really want? For Louis, the final season goal might most likely have being to win a Trophy (be it the league title or the FA Cup) or did they just need an answer to the arrival of Pep Guardiola at city neigbours? Jose Mourinho being confirmed as United’s Boss is something to ponder on. Is this a good or a bad match? Jose Mourinho is a serial winner, his chances of attaining success is guaranteed without a doubt. He did so at Porto, Inter, Real Madrid and Chelsea, which means united and Jose would just be a perfect match. Fans can start fantasising about imminent glory days once again, if things work out that way, but they must be careful with what they wish for! Looking at the bigger picture, Jose has arrived at a time where the English Premier league will be most competitive, more foreign managers are coming through with super tactics and antics. 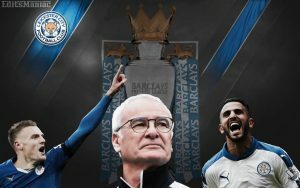 Leicester city did the impossible in the just concluded season by lifting the title against all odds which means bogey teams can cause more top teams trouble now. The new TV deal will aid all participating clubs in attracting better players, his new team needs a massive overhaul and they will be participating in the hectic Europa league (which will most likely cause a repeat of recurring injury issues). 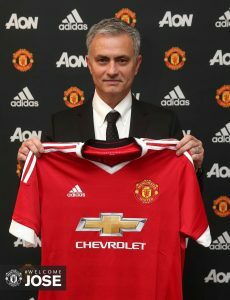 The elements are enormous, conversely Mourinho boasts English football experience and has never being known to shy away from competition, the major concerns have to be a clash between United’s known bravura and Jose’s. He is well-known to encourage a pragmatic style of football as opposed to the attacking football United is known for, but in all rectitude he is adept at balancing both conservative football & attractive football, he did so seamlessly at Inter (winning the treble in his final year) and also at Madrid, winning the La liga with record number of goals scored. Another worry will be giving the youth a chance. Although that claim can’t be totally acceptable or justified. 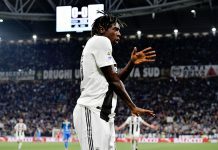 He gave Santon & Balotelli a chance at inter, Varane, Morata & Jese at Madrid, Zouma & Courtois at Chelsea, particularly at a point when sensational young stars such as Anthony Martial & Marcus Rashford have emerged but then united fans will be less bothered, all they appear to want is another prolonged spell of dominance. The major fear for most is Jose’s longevity, as he doesn’t seem to survive after three years at previous employments. He has averaged only two years at his past clubs and that raises so many questions; has he learnt his lesson? Will there be a repeat of another palpable discord at United when things fail to go his way? 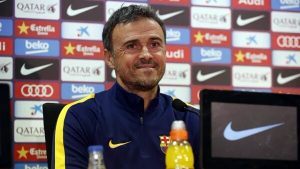 (Most recent cases of fallout at Madrid & Chelsea) Will he conduct himself better in public? (Eva Caniero’s incidence comes to mind). It is left to be seen, united plainly didn’t have better managerial options available and are visibly not ready to take a cue from Spanish giant Barcelona who always give Ex-players a run at management. They could easily have turned to Ryan Giggs, an icon who is well acquainted with the club and back him up with old guards Sir Alex backroom staffs and ex-teammates, to fashion an enabling atmosphere but that possibility is not out of sights, he will get his chance sooner or later. The red devils must however remind themselves that their side is not certainly the same as it used to be with Sir Alex but in Jose Mourinho they have a manager who has the charisma, appeal, a strong will and desire to win, moreover he might be an improved chap who is finally ready to build a ceaseless repute at Britain’s most adorned football side, if everything falls in place, this one might just be the beginning of an delightful blend. 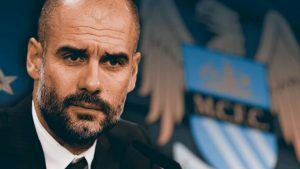 Previous articleHas Pep Guardiola Been A Failure At Bayern Munich?